Franz Joseph Haydn, the great Austrian Classical Era composer, is known as Papa Haydn because he is considered the father of the classical symphony. Haydn composed 104 classical symphonies. A characteristic of a Haydn symphony is its bright, happy, playful nature. In fact, so many times did Haydn put in his symphony a surprising moment [for example a surprising forzando in the middle of a soft passage] that the audience looked forward to them in anticipation. In fact, that anticipation at one of the premiers of a Haydn symphony, conducted by the maestro himself, led to his Miracle Symphony [which legend says literally saved lives]. Audiences of the time loved their Papa Haydn because of the good feeling when listening to a Haydn symphony. It wasn't just symphonies that Haydn wrote. 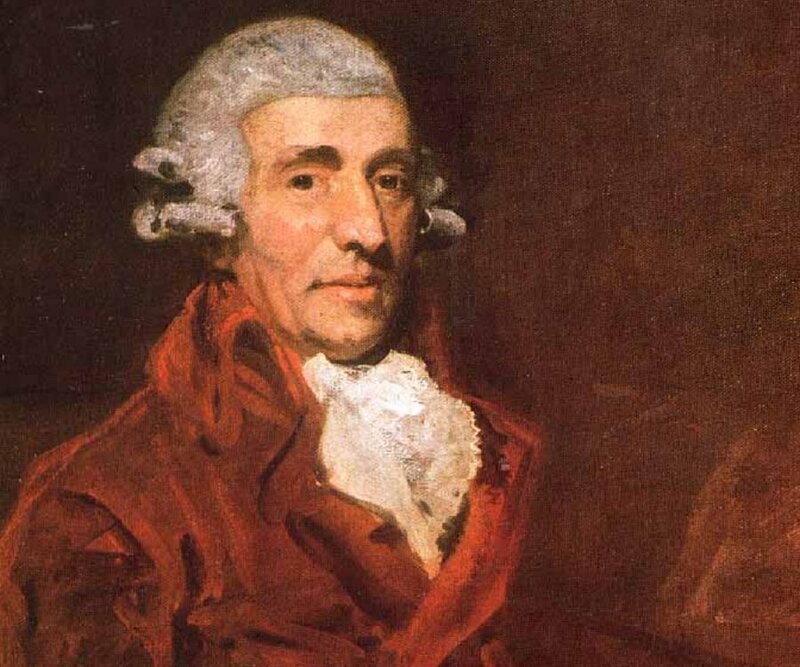 Papa Haydn wrote many great works for the piano. The best of those concerti [and the most popular] is his D Major Concerto. This concerto brings back memories for me as the first time I heard it was in a piano concerto competition when my daughter was just beginning her classical piano lessons with a great Russian American teacher, Mrs Kurinets. One of her students was performing this concerto-it happened to be one of the girls of the famous 5 Browns [2 boys and 3 girls], and if memory serves me correct she was only twelve when performing the first movement of the Haydn D Major concerto. She performed it flawlessly and she won first place in her division. I still remember how my daughter's piano lessons came after the youngest of the Brown girls' lesson. This D Major concerto is just like a typical Haydn symphony with its light, playful nature. I really love this piano concerto. The first movement, Vivace, has a very happy, bright quality. The second movement, Poco Adagio, which begins at the 8:45 mark, is a pleasant slow movement that switches to the A Major key. The second movement is unusual as it also contains a cadenza [15:05-16:51]. The third movement, Rondo all'Ungarese-Allegro assai, returns to the home key of D Major and this is a very fun "Haydn" playful movement. It begins at the 17:43 mark. Yes, while Papa Haydn is known for his many symphonies, I think you will enjoy this Papa's piano. Please turn up the volume and enjoy "the Papa's" piano concerto in D Major. As a Tales bonus, here is Haydn's beautiful Emperor's hymn from his String Quartet in C-Major; and Haydn's Piano Trio in G Major with it's lively "Gypsy" rondo movement 3 beginning at the 11:49 mark of the last video. Thanks big nephew! :-) That makes it worth doing to hear that!